Dalam masa berapa hari lagi Negara akan menyambut Aidil Fitri sekali lagi, saban tahun anggota keselamatan seperti Polis dan ATM akan bertugas seperti biasa dan meninggalkan keluarga mereka semua untuk menjaga dan menjamin keselamatan dan keamanan Negara kita. Mereka ini akan menentukan keselamatan dan kedaulatan Negara terjamin pada musim perayaan ini. Pengorbanan mereka tidak sia sia, baik daripada semua anggota beruniform keselamatan dan juga yang lain seperti bomba dan anggota hospital semasa rakyat jelata menyambut Syawal dengan makanan dan minuman yang lazat bersama sama keluarga tersayang diseluruh Negara di kampung masing masing. Negara ini aman damai adalah kerana warga ini lah yang sanggup berkorbankan masa dan peluang untuk bersama keluarga mereka dan bertugas seperti biasa diperbatasan demi untuk Negara dan tanahair tercinta. Mereka hanya akan dapat peluang bersama dengan keluarga apabila rakan yang lain mengganti mereka secara bergilir gilir selepas bercuti. Rakyat Malaysia amat berterima kasih kepada semua warga beruniform yang sentiasa mementingkan penugasan Negara lebih dari segala galanya, demi untuk kesejahteraan seluruh Rakyat Negara. MACVA mengambil kesempatan ini untuk mengucapkan SELAMAT HARI RAYA – MAAF ZAHIR & BATIN kepada semua warga ATM, PDRM serta anggota beruniform yang lain di seluruh Negara. We are comforted and reassured to know that there will be enough Police and Armed Forces personnel on duty during the coming Hari Raya festive holidays to ensure the nation’s continued security and safety. (The Star Friday, 9 June 2017) We are certain that staff and personnel in other emergency and essential services will be doing the same. Such servicemen, servicewomen and similar personnel in other services are unique; they serve beyond the normal call of duty to allow others to enjoy the nation's auspicious festivals in a peaceful and secure environment. It is no small contribution as they, like many of us, have families and would also be looking forward to be with them during such important festivals. However call of duty and sense of service to King and Country takes precedence over personal interests for them. Every member of MACVA (Malaysia Armed Forces Chinese Veterans Association) empathise with them as we, too, shared this experience of personal sacrifice during our active service days; there is even a member among us who was recalled for operational duty on the day of his wedding dinner! We therefore know and value and hold such dedication to duty in high esteem. Let us, each in our own way, honour them by offering them our hopes and prayers for the safe and successful completion of their duties. May Blessings be upon them and their families. MACVA say “Thank you” and wish every comrade be it on active duty or on the festive leave and their families “Selamat Hari Raya Aidilfitri”. While some quarters may remain shrouded by the myriad of reasons best known to themselves in the Malaysian society today, the MACVA takes pride to share how comradeship takes precedence over any differences and is treasured amongst the King's men who served side by side. 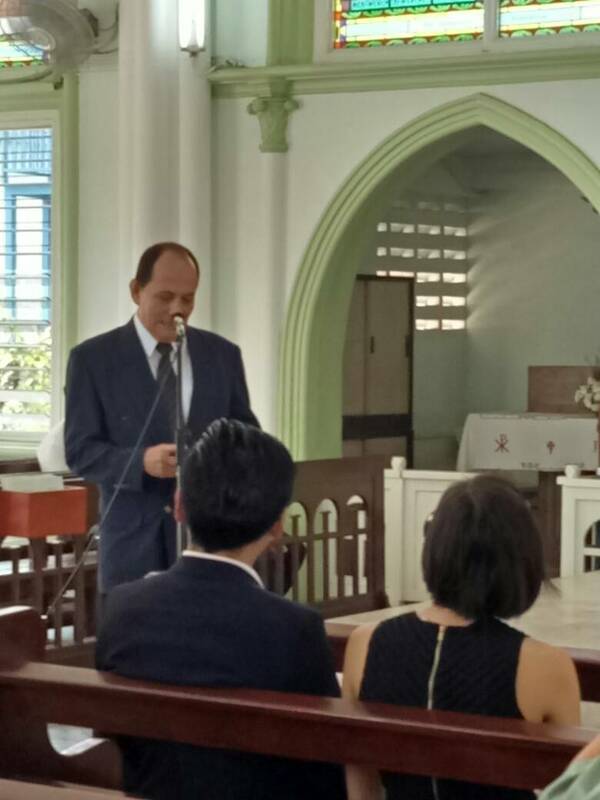 This is exemplified in the accompanying photograph, with Col Kamal Omar (B) delivering the eulogy during the Funeral Mass at the Holy Rosary Church in the final send off for the late Col Andrew Boudville (B). The act represents the mutual respect, comradeship and love amongst those who fought together so that the generation today may be free from the encumbrances threatening the young Malaysia. This scene is exactly what Malaysia needs and to witness more often; the coming together of color blind Malaysians. 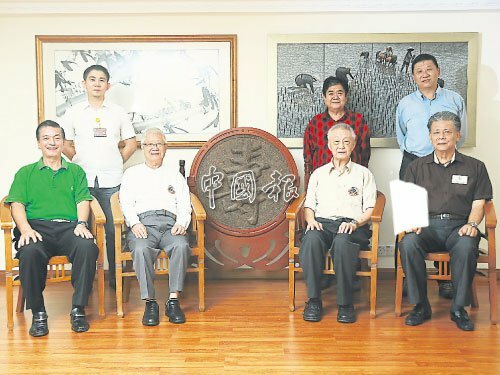 It is the hope of the newly formed MACVA (Malaysian Armed Forces Chinese Veterans Association) that the differences Malaysians have are set aside in the interest of national unity irrespective of religious faith, race, class or creed. PS: After his retirement as the Director of the Royal Malaysian Armoured Corps Col Kamal Omar (B) served in the International Federation of Red Cross and Red Crescent Societies (IFRC) and saw humanitarian and disaster relief work in places such as in Afghanistan, Pakistan and Indonesia. 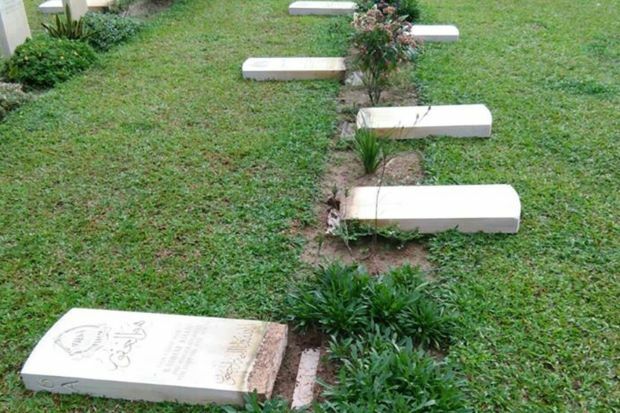 MACVA view with disbelief that a heritage of our national history, Taiping War Cemetery, has been vandalised by unknown persons as reported by The Star on 5 Jan 17. War Cemetery is the final resting place for war heroes who gave their lives for the liberation and sovereignty of the Country, therefore it must be treated with utmost respect by every citizen of the Country. The vandalisation of War Cemetery is most distasteful and akin to cultural meltdown displaying disparaging disrespect. We, MACVA's veterans are very disappointed with the vandalisation since being veterans, we can appreciate how these heroes gave their utmost, their life for others to live in peace. Similarly we have veterans who lost their limbs, being incapacitated defending the sovereignty of the country. Thus we, MACVA hold dearly our departed heroes including un-named heroes being comrades-in-arms. Every war hero and veteran served the King and Country with pride and valour, thus War Cemetery is liken to be a national heritage, a piece of national history. MACVA urge the local authorities to do all it can within its power to apprehend the culprits and mete out commensurable punishment to deter future incident of vandalisation of War Cemetery. MACVA wishes to reiterate that a War Cemetery must be accorded the highest respect, what the nation enjoys today is in no small part contributed by those men and women resting in their final resting place. Let us accord these heroes our highest honour and respect.